After school, I wrote a screenplay while living with my parents. I managed to write a full feature film screenplay, which did get some positive responses, but that was it. My juice carton was empty concerning that particular project. Then I was lucky enough to get some random gigs as a video editor and as a cameraman. I have been a production assistant in a theatrically distributed feature film: Geography of fear. I have been an editor in a nationally broadcasted tv-series: Headhunters. I have been a cameraman in a nationally broadcasted documentary: A-report: Inheritance of the veterans. Just to name a few. Many different methods, different gear, different people, and especially, the times are now quite different too, so much has changed. That said, I feel all of my previous career will remain as valuable knowledge as it gives perspective on things to come. Also, I tend to learn and gain deeper understanding mainly kinetically by actually doing things, first hand. I gradually started to work more and more in the broadcast television, news and current affairs in. Now, I have been working full-time as a media journalist and a production systems specialist for over a decade. I get my juices from my job, working in video storytelling, working to help other people. I like the fact that I am called when there’s a problem. I get to think of better ways of doing things in the video workflow. Now, with vidtoolz, I want to expand this to the social media to learn from others and share my own findings. 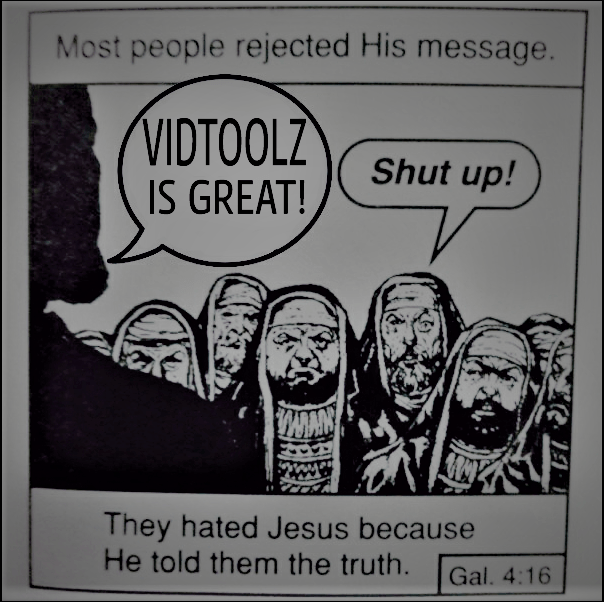 Please, join vidtoolz, for the benefit of all mankind! Previous PostPrevious Being a content creator on Youtube. Next PostNext Real money from fake attention?